The Assistant Attorney General of the antitrust division of the U.S. Justice Department, Makan Delrahim, who is in charge of reviewing the merger between T-Mobile (NASDAQ:TMUS) and Sprint (NYSE:S), indicated that he wasn’t necessarily opposed to the fact that the deal would reduce the number of nationwide carriers from four to three. The comments are in line with the position taken by FCC Chairman Ajit Pai last year, and mark a reversal of the policy of regulators in the Obama Administration, who favored having a fourth player in the U.S. wireless market. Antitrust concerns are viewed as the biggest barriers to the proposed merger, and the recent comments that key officials are keeping an open mind could bode well for the deal. 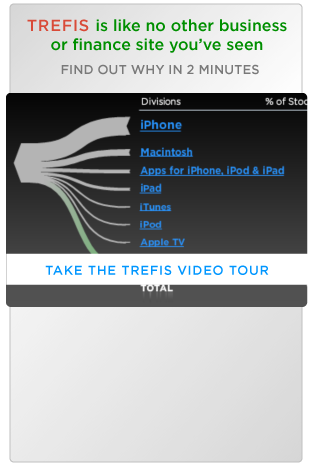 View our interactive dashboards that outline our valuation estimates and forecasts for Sprint and T-Mobile. While Mr. Delrahim indicated that the law and market economics will be crucial factors in deciding on the merger, its potential impact on wireless customers will be a key factor that regulators will watch. The two carriers have indicated that the merger would effectively lower costs for subscribers. For instance, Sprint and T-Mobile estimate upwards of $6 billion in annual cost synergies, which could allow the combined carriers to offer cheaper service. 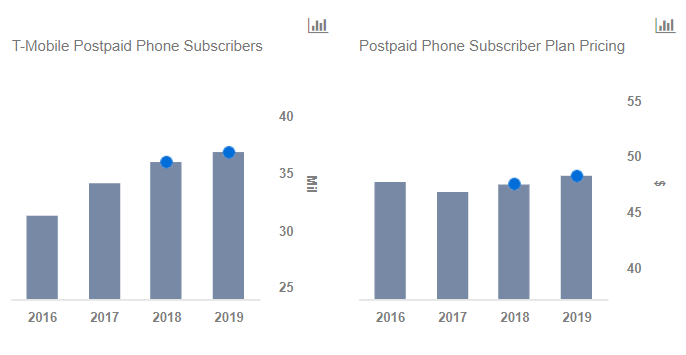 Since the two carriers typically have the most price-conscious postpaid subscribers, it’s quite possible that they will continue to play the pricing card to retain and grow their base. That said, the increasing market concentration with just three major players is unlikely to incentivize carriers to continue to compete as strongly. T-Mobile and Sprint, in particular, have been fierce competitors, bringing down prices and offering a lot of value-add for customers, forcing the larger two carriers to follow suit. For example, the two carriers were the first to reintroduce unlimited data plans while offering value-added offerings such as bundled Netflix and Hulu connections. With the absence of this competition, it’s possible that wireless companies will be less aggressive with promotions and pricing. The markets still seem to view the risks to the merger as significant. For instance, Sprint stock is trading at levels of $5.20 per share, which marks a discount of about 10% versus the deal price, based on current market prices, considering the swap ratio of 0.1026 T-Mobile shares for each Sprint share.